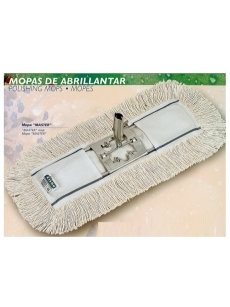 Cutted cotton floor mop MAT with metal holder. For wet washing. Cloth is for all types of washing washed floors such as concrete, plastic, PVC, rubber, metal, natural and artificial stone, etc. Holder is from strong metal. 12x...cm.